DJ Brain Redd, well known for his American DJ instructional YouTube Videos, also knows a thing or two about trussing. 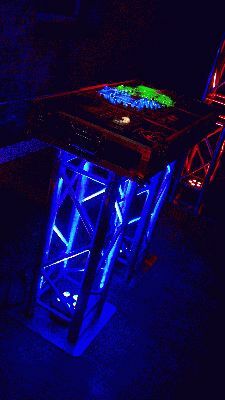 That's clear to see by looking at the cool Oval DJ Booth he designed for Global Truss America. "It's kind of like a 3-D horizontal overhead truss," said Brian. 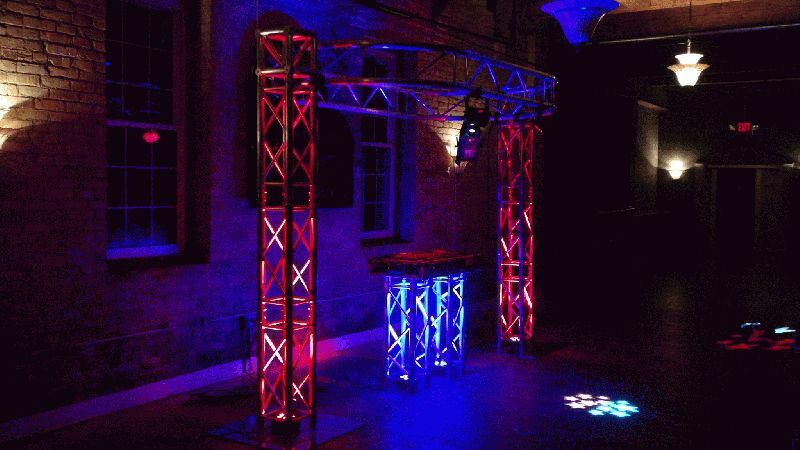 "Thanks to its oval positioning, you'll be able to backlight yourself as well as the dance floor, so it contributes to an exciting visual effect." The new DJ booth is made with 2.5 circles and two I beam truss segments attached to a pair of F34 Truss Totems with swivel clamps. This trussing setup can be assembled easily by dealers using Global Truss America products. Global Truss America products are sold only through authorized dealers. For more information, contact Global Truss America LLC at (323) 415-6225, or visit www.globaltruss.com .